Today I want to share a couple of projects I created using some CTMH products. Right now they have a wonderful promotion going on for National Stamping Month and you can get this fantastic set of stamps for only $5.00* when you make a qualifying purchase of $35 or more. I was fortunate enough to get my hands on a set and so here are a couple of cards I created. This is the first card I created. The chevron background “paper” is actually one of the stamps in the set. I used the Whisper Ink and Stamp to create that by stamping several images next to each other. 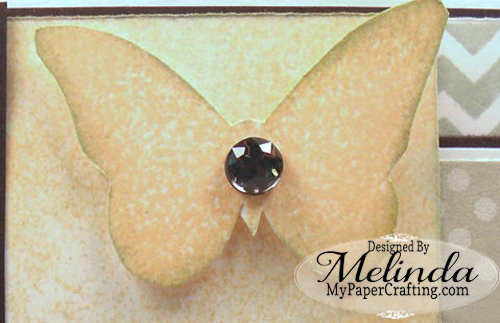 This butterfly is also one of the stamps in the set. I stamped it out three times again using the Crème Brulee ink. I think used a sponge to ink around the edges with some Whisper Ink to give them just a bit of definition. 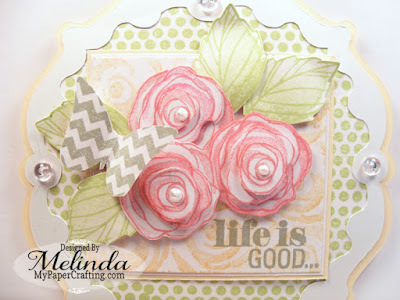 The Pink striped piece is also a stamp from the set as is the best day ever sentiment. 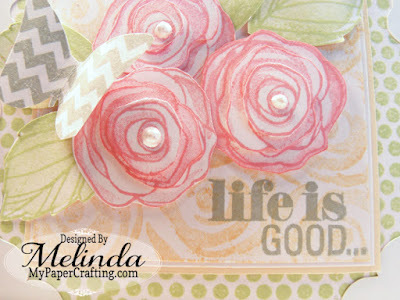 I used Whisper Ink to create to stamp out the sentiment and Cotton Candy Ink to stamp the Lines. Lastly the grey polka dot paper is some Dotty For You Designer Paper and the ribbon is some from Michael’s. Oh the jewels are some Bo Bunny jewels I had in my stash. 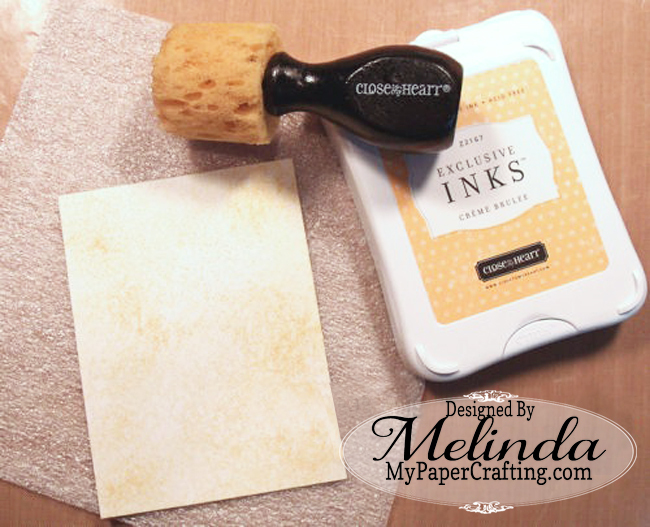 I started by using my Sweet Leaf Ink and one of the stamps in the set to create the Green Polk Dot background paper. 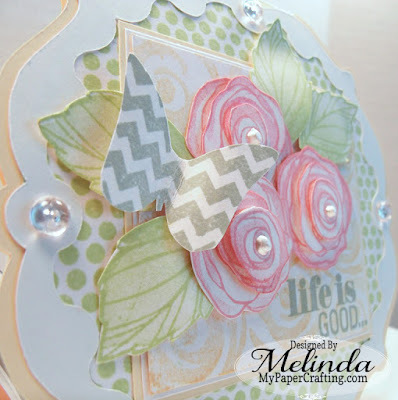 In this shot you can see that I used the Whisper Ink and the Butterfly With Chevron Pattern Stamp. Angled Shot to show the dimension of the flowers. 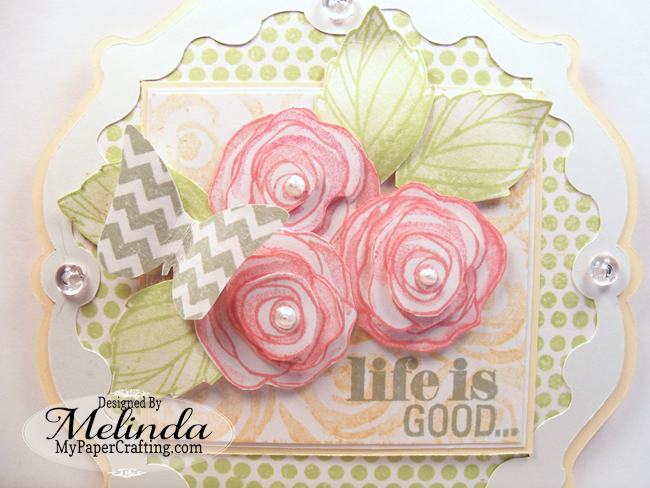 Okay, I couldn’t help myself and so I used the “Bloom Everyday” Stamp set to create the “roses and leaves”. I stamped the roses out a total of 9 times using my Blush Ink and then cut them so there would be “layers” to them. I used pop dots under each layer to give them some more dimension. I also used Crème Brulee Ink and Stamped just the bottom layer of the roses onto some white cardstock and created the soft background “Paper” that the roses sit on. I used my Sweet Leaf Ink to stamp out the matching leaves. I then stamped the sentiment onto the rose background paper with some Whisper Ink. Here is a picture of the free set. I simply used the frame from this set and welded two together to create the card base and then resize the frame to fit onto the card. This file set will be in the following formats: AI, DXF, EPS, GSD, KNK, MTC, SCAL2, SVG, STUDIO and WPC. Click this link or go the the menu bar across the top and select the info-newsletter button. The newsletter will be going out tomorrow morning so you still have time to sign up and grab this freebie. Thank you so much for stopping by! May you all have a wonderfully crafty day! 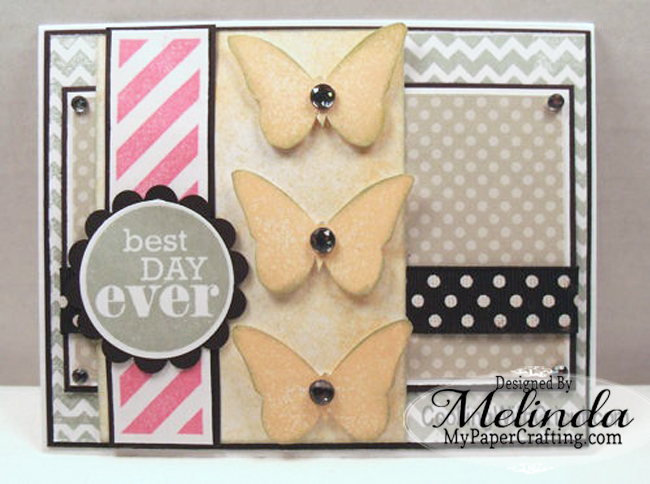 Beautiful cards, Melin! 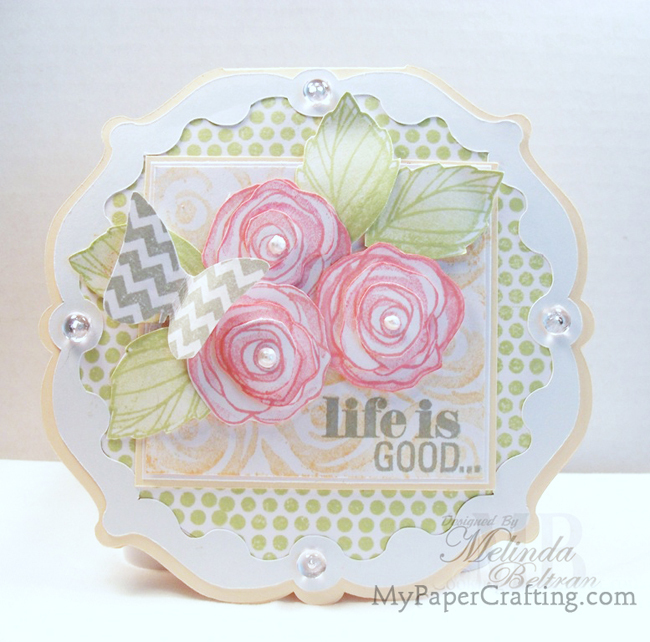 LOVE the layered flowers on the "Life is Good" card. WOWOWOWOW, Melin, these cards are STUNNING! I absolutely love them!!! !